Carry all the makings for a hearty lunch in this roomy lunch sack. A mesh pocket on the inside holds an ice pack or utensils. You can even add iron-on-vinyl to the inside fabric to make it easily wipeable. 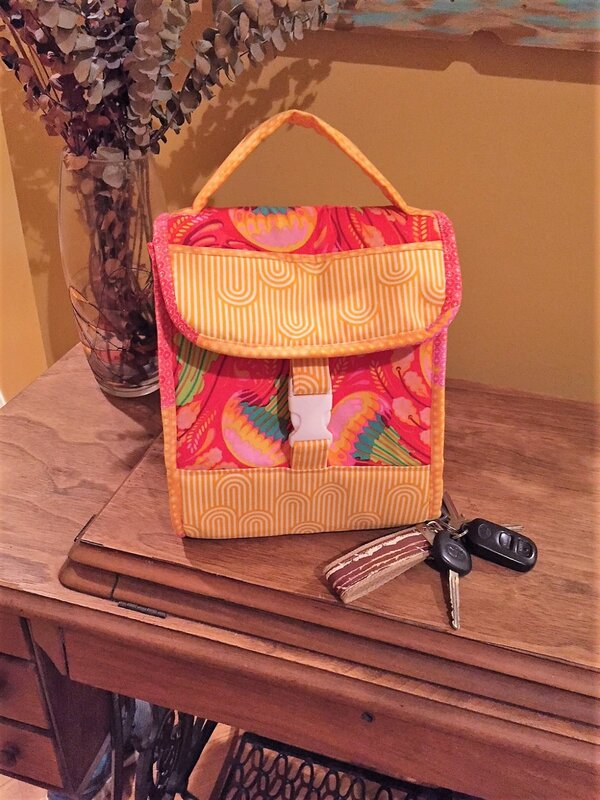 Wanda has made all of the variations of this bag and they are all show stoppers; she will be eating lunch in style!